On a recent Wednesday afternoon in Iaido, all the students were female. Sensei was the only man in class. Half-jokingly, he asked “where are all the men?” We shrugged, and went on drawing our swords, slicing through envisioned attackers, holding difficult stances, and counting loudly in Japanese to build our ‘haras’ or centers. This interview was originally published on the website, Sensei Aikido. It was conducted on Saturday, February 2, 2019 during Savoca Sensei’s seminar at Wroclaw Aikikai, Poland. I was born August 16th, 1971 in Concord, California. 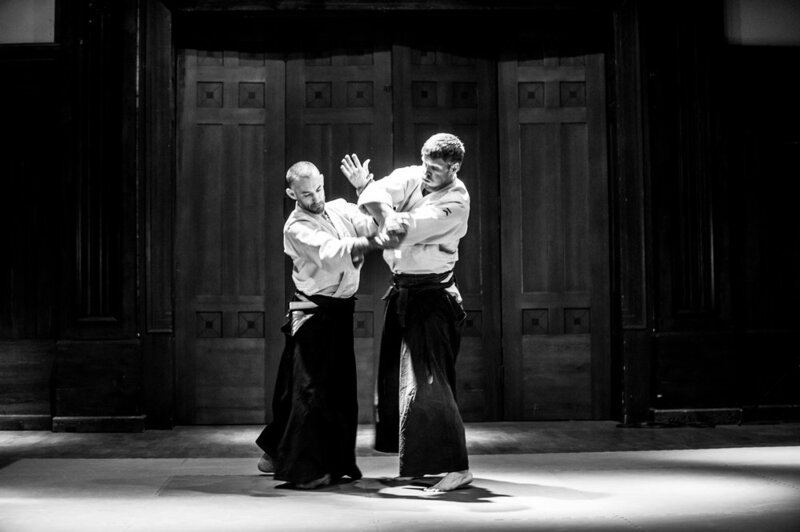 What is your story of coming into Aikido? I grew up in southern California, San Diego, and originally I started Judo. My father wanted me to become stronger. At 12 years old I went to a local place in Oceanside, California. I’d been doing Judo for around a year and a half when my Judo instructor told me that I should also do Aikido, that it would help me. At that time Gerald Gemmell Sensei, who was a Marine, was connected to Chiba Sensei and had a small Aikido group. I joined and was doing Aikido and Judo at the same time. I am grateful that the Universe allowed me to come into being, and for my parents who brought me into this world. I am grateful to my family for allowing me to be as I am but also challenging me to be more. I am grateful to all the teachers that I have had who were both patient and tough with me as was needed. I am grateful for this training that I have given my life to and that has given back to me immeasurably. I am grateful to our dojo and my students for they have fed me more than they know. And I am grateful for the sun, the sky, and the stones, the water, and the wind through the trees. And even in times when things can perhaps seem dark, I am grateful for the ability to hope and believe in love.